On the 27th January 2016 the Bishop of Durham, the Rt Revd Paul Butler, spoke during the second day of the Report Stage of the Government’s Welfare Reform and Work Bill. The Bishop spoke in support of an amendment in the name of Lord Best, to exclude supported housing from the proposed social housing rent reduction. 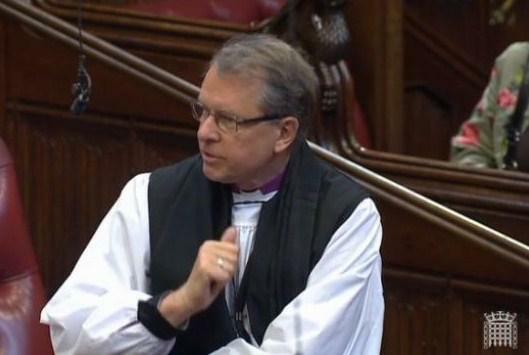 The Lord Bishop of Durham: My Lords, I support Amendment 51 in the name of the noble Lord, Lord Best. I am speaking partly on behalf of the right reverend Prelate the Bishop of Rochester, who spoke on this matter in Committee. “We house more than 1,200 of the most vulnerable people in the communities we serve. They include rough sleepers, people with mental health, drug and alcohol problems, care leavers, young mothers and people with multiple and complex needs”. “The exemption of specified accommodation from the 1% rent cut will offer some breathing space—a fighting chance to save what has survived the various rounds of local authority de-commissioning. If specified accommodation is not exempted, we will lose about half of our current provision over the next four years. Homelessness and rough sleeping will continue to increase”. I am delighted to hear that the Minister has proposals that will be good news to Framework and many other providers, and I look forward to conveying it to them. Lord Freud: I will start by picking up a point made by the noble Lord, Lord Ramsbotham, on unintended consequences. The House of Lords has done its job in alerting us to some unintended consequences in time for us to sort them out. I know that I rely on this House for that again and again, and in this case I express my gratitude to a number of noble Lords—with the noble Lord, Lord Best, leading the field—for enabling us to deal with these issues. Let me now do the business on these amendments. Amendments 50 and 51 would exempt housing co-operatives, community land trusts and supported accommodation, while Amendment 52 would extend that exemption to almshouses. I will just make a few comments before I turn to the rent reductions in social housing. We face a challenge on the overall housing benefit bill and believe that social housing providers need to play their part in helping to bring that bill down. However, we also recognise the vital role that many housing providers play in supporting people who need the most help. The Government have always made it clear that our policy will protect the most vulnerable members of society. To achieve that, the Bill has built into it the flexibility to accept some social housing and provide exemptions for providers facing financial difficulty as a result of the reduction. We have also made several amendments to the Bill, including some today, which we believe will be helpful. We continue to look very carefully at supported accommodation. As I said, I am grateful to noble Lords for some very powerful arguments in this respect. I am also very grateful for the helpful engagement I have had with providers of supported accommodation. I emphasise that the Government recognise the important work that providers do in this area to support some of the most vulnerable members of our society. We are determined to ensure that providers who are delivering those vital services can continue to do so. As Brandon Lewis confirmed in the other place earlier today, we are conducting a review of supported accommodation, from which we will start to get findings in the spring. We want to ensure that we get the review right, and then use it to find workable and sustainable long-term solutions for both the supported housing sector in its widest sense and the Government. I recognise the value of the expertise of the providers of supported accommodation. Therefore, they will be fully involved in that process. To pick up a point made by the noble Baroness, Lady Hollis, there will clearly be an SI on the one-year exception, which I shall come to in detail. I do not know what the long-term solution to how we run the sector will be. It could be anything from primary legislation down. I am unable to give her more information. The noble Lord, Lord Shipley, will have seen me smile wryly at him when he asked for figures. One of the key outcomes of the review will be a much more robust understanding of the sector, providing some of the figures we need to reach judgments. I can announce today that the Government will put in place a year-long exception for all supported accommodation from the 1% reduction. That gives us the time to study the evidence from the review. We will start to get findings in the spring, as I said. We will work with the supported housing sector to ensure that the essential services they deliver continue to be provided after the year-long exception—also making sure, of course, that the taxpayer is protected and the Government’s fiscal commitments are met, and that we make the best use of the money available. We will look urgently at this to provide certainty for the sector. While the exception is in place, those providers will be able to continue to apply the CPI plus 1% rent increase to any supported accommodation that they own. My noble friend Lord Young asked what we include in the sector. As I said, it is a wide definition and it includes housing such as domestic violence refuges, hostels for the homeless, sheltered accommodation for older people, extra care housing, and accommodation for people with mental health or drug/alcohol problems, ex-offenders, people at risk of offending, women at risk of domestic violence—a large number of groups. I have spelt out some, but there will be others. I can also confirm that the one-year exception will extend to housing co-operatives, almshouses and community land trusts. The detail will be set out in the regulations we will bring forward very soon, following Royal Assent. The intention is that these regulations will be in place for the start of the new financial year. “Homeless Link, YMCA England, Riverside and St Mungo’s welcome the Government’s decision to suspend the 1% rent reduction to supported housing whilst the review into the housing costs of tenants living in this type of accommodation is completed. This decision means they have listened to, and acted on, the concerns of supported housing providers across the country working with disadvantaged people. We remain keen to carry on this constructive dialogue to find solutions to the big funding challenges as we work with Government to find a fair, effective and sustainable way of supporting the needs of the most vulnerable”. That is the issue around the 1% rent. The noble Baroness, Lady Warwick, and the noble Lord, Lord Best, talked about the concerns around bringing housing benefit for social tenants into line with that for the private rented sector, which will start to take effect from April 2018. I am not in a position to be utterly specific about how we will do this, but I can say that we will put in place the appropriate protections for those in supported housing. DWP and DCLG will be working closely together to make sure that those protections are in place. We appreciate the concern, and we will aim to do this urgently. There are various solutions one could discuss, but I make that commitment in the context of what I have already said about the 1%. We will now just sort out the caps. Amendment 53, tabled by the noble Lord, Lord Kerslake, requires an independent review. We cannot accept this amendment. The Government will be keeping rent-setting policy closely under review, especially as we draw closer to the end of the rent reduction period. At that time, we will also wish to take in a range of outside views to ensure that the Government’s understanding is as informed as possible. We therefore see no merit in legislating for an independent review ahead of 2020. We are also concerned that, for it to report in time, it would need to start midway through the rent reduction period and it is therefore unlikely to be fully informed. I am aware that the noble Lord is concerned about providing some certainty to the sector about the rent-setting position after the four years of rent reduction are concluded, but there is a risk that setting up an independent review may prolong any uncertainty because the Government will want to consider a number of factors in addition to the outcome of any review before determining their future rent policy. Amendments 61 and 63 were also tabled by the noble Lord, Lord Kerslake. Schedule 2 to the Bill set outs how maximum rents should be determined during the four years of rent reductions for tenancies that were not in place after the beginning of 8 July 2015. This will therefore apply to new tenancies. Different rules apply to existing and new social housing and affordable rent housing, and they are set out at paragraphs 1 to 3 of Schedule 2. Rents for new social housing may be set at up to the social rent rate. My noble friend Lady Williams explained in Committee how this will work and made clear that we have sought to make the 1% reduction work in a similar way to existing policy in so far as we can and that the Government’s intention is that the formula rent as defined in regulations will mirror the formula for 2015 as set out in the rent standard guidance and the Government’s guidance for rent. In the Bill, this is set out in Schedule 2 at paragraph 1(4). The first step is for a provider to determine what would have been the rate of formula rent for that social housing at the beginning of 8 July 2015. Once that is determined, the social rent rate is found by then applying a 1% annual reduction. With regard to the noble Lord’s concerns about the impact of local circumstances, it is important to understand that formula rent already takes into account relative property values, local earnings, the size of the property and an overall rent cap. Local circumstances are therefore built into the formula. As mentioned, the intention is to reflect current policy in so far as we can. This currently allows providers some flexibility to set social rent at up to 5% above formula rent for general needs housing, and up to 10% for supported housing. The 10% flexibility in supported housing was intended to reflect the higher costs in providing support and services for this type of housing. I completely accept that this flexibility should continue. I am grateful to the noble Lord for giving me this opportunity to reiterate the commitment we made in another place to allow rent setting for new tenancies in supported housing at up to 10% above the rate for general needs housing. This has been welcomed by the sector and will be brought in by regulation under Clause 26. However, we do not think that it is right to allow general needs housing the same continued flexibility: for general needs housing, this was only ever intended to be applied in exceptional circumstances. Allowing it now would undermine the objective of the rent-reduction measures. We are bringing forward amendments today to enable the regulator—or Secretary of State, as applicable—to issue a direction giving a provider this flexibility, where an individual provider has been exempted due to financial difficulties. I reiterate that we have listened to providers’ concerns. That is why the Bill had been amended in another place to enable all providers to re-let social rent properties at the social rent rate—that is to say, formula with the 1% per annum reduction applied —even if they were previously let at a much lower rent. This has also been welcomed by the sector. Turning to affordable rent housing, paragraph 3 of Schedule 2 provides that the rent payable by that tenant should be set at no more than 80% of the amount that would be the market rent for that property, and that in the following years a 1% per annum reduction to that maximum rent applies. However, this is a maximum rent. The guidance is clear that local factors should also be taken into account: for example, the local market conditions, or the local housing allowance for that area. Providers already have flexibility to set rents below 80%, if they think it appropriate. The 5% and 10% flexibility we referred to previously is specific to the formula rent model and does not, therefore, normally apply to affordable rent. However, under the current policy, affordable rent housing may be let at the formula rent if it is higher than 80% of the market rate. I understand that the noble Lord is concerned about this point. To reflect this, I am pleased to say that we are proposing amendments—to be discussed later—that are intended to address this, and which better align affordable rent setting with existing policy. Again, I want to reiterate that, to mitigate the impact of the reduction, we have already made amendments in another place that will enable affordable rent housing to be re-let at up to 80% of the market rate even if it was previously lower than that rate. Housing which may be let on the affordable rent basis will be identified as such in regulations under paragraph 4. I recognise that noble Lords are concerned about future housing supply. We have made it clear that this is our key priority, and it is backed by our commitment to invest £8 billion to deliver 400,000 affordable housing starts. I turn now to Amendment 59A. The purpose of freezing LHA rates for four years is to build on the housing benefit reforms introduced during the last Parliament, which saved £6 billion. Savings from freezing LHA rates are estimated to be around £655 million for the whole of Great Britain over the four years. As noble Lords may be aware from amendments tabled in Committee, within DWP we already monitor the levels of LHA rates in comparison with market rents to assess any divergences. The rent officer services provide DWP with rental data for each broad rental market area for the last 12 months up to the end of September each year. This is used for monitoring purposes and in the last two years has been the basis for identifying which rates should be increased by the targeted affordability funding. This amendment calls for an independent review of the relationship between the rates and private rents to be carried out at least on an annual basis. While I appreciate what is intended here, undertaking an independent review with such frequency is likely to be of significant cost to the department, especially considering the time of officials required to arrange this each year. Rent officers already publish annually on their respective websites the 30th percentiles of market rents for each area alongside the LHA rates and have done so for the last three years. The Secretary of State has the power to review LHA rates or to provide in regulations for the maximum housing benefit to be an amount other than these rates; those powers have been in place since 2012. We recognise that rents in some areas will increase and at different rates. In view of this, we will recycle 30% of the savings generated from the freeze through the targeted affordability funding—we have already distributed £140 million since 2014. Because there was no inflation during the relevant period, this means that no savings will be made from the freeze in 2016 and 2017, and therefore no targeted affordability funding, but it will be made available from the savings in subsequent years. In addition, local authorities are able to provide support to those affected by housing benefit reform with an enhanced package of £870 million of discretionary housing payment funding. In light of these arguments, I urge the noble Lord to withdraw his amendment. Baroness Warwick of Undercliffe: Might I press the Minister for a moment on the LHA cap issue? I am not quite clear about what he means. He said that he could not be specific, and I understand that, but I am very conscious of the uncertainties that boards now face as regards the decisions they have to take in the next few weeks. Do we take it from what he said that the slate is clean as far as they are concerned, there is no assumption that the LHA cap will be applied and that the outcome of the review will look at this afresh? Lord Freud: There will be a review, which will look at how we fund. We have given ourselves a year to come up with that, so clearly they can look to that in the medium term. However, I have already said that we accept that it is urgent to make sure that their immediate concerns are taken off the table, and we are working to make sure, as we look forward to a more fundamental review, that those protections in that short-term period are in place. Lord Kerslake: The proposal with regard to the exemption and flexibility for the regulator in those difficult circumstances is entirely welcome. Although it does not go as far as I sought, it is a very helpful move indeed, so I thank the Minister. Lord Best: My Lords, this has been an excellent debate. Many thanks to the noble Lord, Lord Shipley, my noble friends Lord Listowel and Lord Kerslake—I was pleased to hear him say that he welcomed the announcement by the Minister—and the noble Baroness, Lady Hollis, who may have been satisfied to some extent on the process. We should have a chance to debate these things in the future. I thank the right reverend Prelate the Bishop of Durham, who told us about the work of Framework, a typical housing association, which is feeling very nervous and which, I hope we are pretty well fully reassured, will not go out of business as a result of these measures—that will just not happen. I also thank the noble Baroness, Lady Manzoor, my noble friend Lord Ramsbotham, for championing the cause of the almshouses, the noble Lord, Lord Young of Cookham, for joining in very helpfully; and the noble Baroness, Lady Warwick. She continues to feel fearful but I hope that she gained the distinct impression that it would be a bad idea to hold back on the basis of thinking, “The Government will probably let us down; the rents won’t meet what is required”. For some years I chaired one of the housing associations—Hanover, which runs the most extra care housing schemes in the country. I thought to myself, “Knowing what I know, would I say to my board that it is too risky to go ahead with an extra care scheme in these circumstances, because by 2018 we may find that there is no money on the table and we will go out of business?”. I would say from the chair, “Let’s go for it. I don’t believe we’re going to be put out of business”, but I fully accept that some of my fellow board members might take a more cautious view. That is the anxiety that remains until the Minister is able to come up with something that has a watertight guarantee. However, his words tonight were as reassuring as we could expect them to be. I echo the Minister’s tribute to the many organisations that have beaten a path to his door. I am sure that they were much more influential than myself or anyone else in this House because they bring the real experience of the front line through to the ministerial office. I am delighted that he is deeply committed to engaging those same organisations in the process that now follows to find a permanent solution. However, best of all, I am very pleased that the Minister has been able to announce that, while the review takes place and Ipsos MORI comes up with its research, with the providers being part of the process of finding a permanent solution, rents can be increased by CPI plus 1% in these schemes. That will keep the wolf from the door. I have pleasure in begging leave to withdraw the amendment.